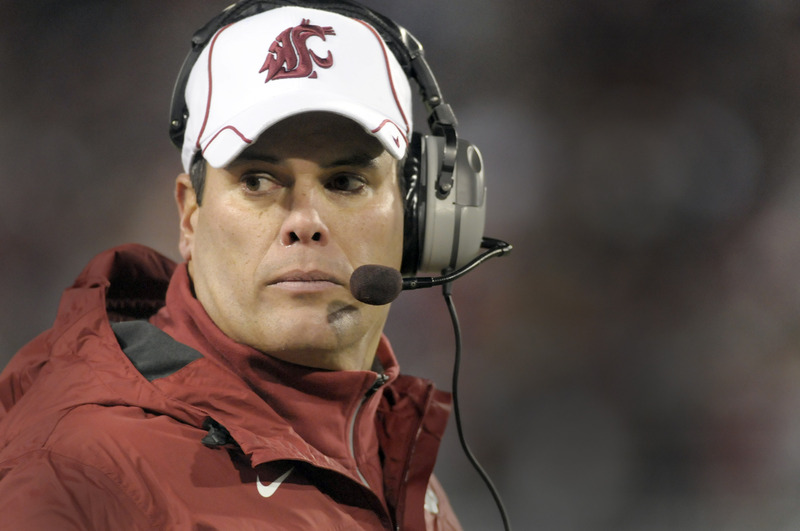 Wed., Feb. 2, 2011, 2:53 p.m.
PULLMAN – Mike Levenseller has been Washington State’s receiving coach seemingly since the Mesozoic Era. In that time he’s coached multiple NFL players, developed corps with cool nicknames like the Fab Five and helped cultivate more than a few All-Americans. And even he was smiling on Wednesday as WSU unveiled most of its 2011 recruiting class on what’s come to be known as Signing Day, uppercase included. The biggest reasons for Levenseller’s smile were four high school wideouts – two from Florida that are already enrolled at WSU, one from California and one from his old high school – that Levenseller sees following in the footsteps of Marquess Wilson, a freshman All-American last season. Another reason for Levenseller’s smile was a late addition to the Cougars’ class, news of which was texted to the coach from another Cougar recruit. Rahmel Dockery announced at Curtis High he would attend WSU instead of Oregon State. Dockery, a 5-foot-10, 170-pound receiver who is also a stellar high jumper, joined defensive lineman Max Hersey as Curtis products heading to WSU. But despite the splash of the receivers, the emphasis in Wulff’s fourth group was on bigs, with WSU already having 12 offensive or defensive linemen among its 25 players announced Wednesday and more expected before the signing period ends April 1. Teams are allowed 25 initial scholarships each year, but Wulff said a couple of the high school recruits may grayshirt, or enter in the spring, when they can be counted against next year’s class. WSU lost two starting offensive and two defensive linemen to graduation and could start three seniors up front on offense and one on defense in the fall. With that in mind, Wulff said a couple of the class’s five junior college linemen may redshirt. Linemen may have been the biggest group, but that doesn’t mean the Cougars aren’t high on quarterback Cody Clements, who threw 32 touchdown passes against just one interception as a senior at La Habra High in Southern California, or their linebacker group, rated seventh in the nation by Scout.com. “He’s our kind of guy, athletic, extremely tough, a high-end competitor,” Wulff said of Clements, adding that the 6-2, 205-pounder will probably redshirt. As for the linebackers, Wulff said the success just sort of happened. “We targeted guys we liked and we were very happy to get the guys who committed to us,” Wulff said, naming 6-2, 215-pound Chester Su’a from Hawaii as the featured recruit in the group. “He’s maybe as talented as we’ve ever signed here. … He’s the total package, he’s got size, big size, great instincts, tremendous toughness and aggression and he can run. Another of those linebackers is Logan Mayes, son of WSU record-breaking running back Rueben Mayes. The 6-3, 230-pound Mayes, who grew up in Pullman before moving with the family to Eugene, Ore., during high school, was high on Wulff’s list. Next fall, that will be in Pullman. Published: Feb. 2, 2011, 2:53 p.m.